March 24 — It was still cold, but the early spring sun was warm and welcoming on Palm Sunday — Day 40, the last day of the 40 Days for Life. The volunteers who had been part of this 6-week prayer vigil — which began on Ash Wednesday — gathered for a closing ceremony on Perlman Drive in Spring Valley, outside the Pascack Plaza Mall where Planned Parenthood has its office. In this 40 Days for Life campaign, over 550 lives nationwide were saved from abortion — those that we know about. One story comes from White Plains. Sometimes all it takes to turn a woman from abortion is the presence of someone to remind her not to panic, to take time to stop and think, and listen to her heart. Someone to assure her that God is with her and that all will be well, who can point her in the direction of help and support. 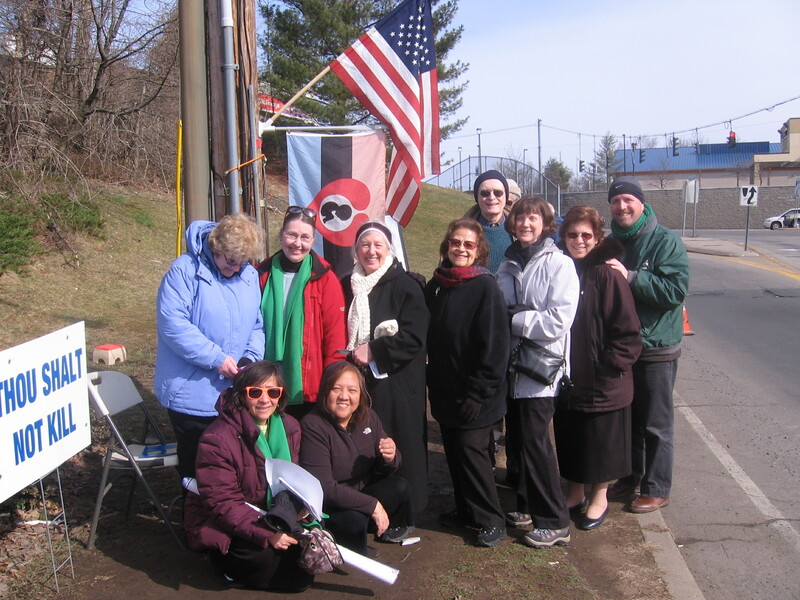 Rockland Right to Life salutes the committed volunteers of the 40 Days for Life. Thank you for your prayers to end abortion, for enduring the cold, wind, and snow to witness for Life, and for being there for the unborn children and for their parents when they so desperately need a sign of hope and love.